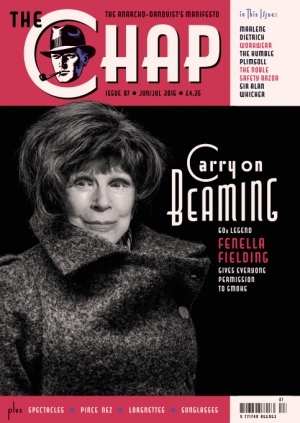 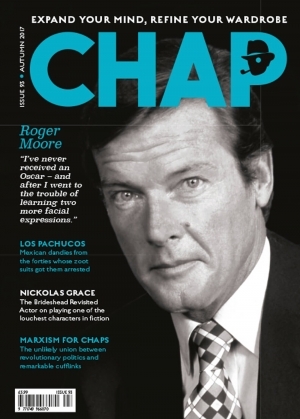 Recently discovered in the vaults of the New Sheridan Club, this highly rare early edition of The Chap dates from 2003 and marked a turning point for the Anarcho-dandyist movement. 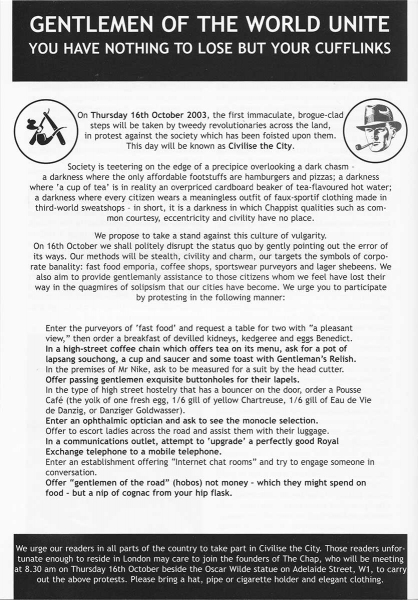 Within its pages was announced the first uprising in the Tweed Revolution on 16th October 2003. 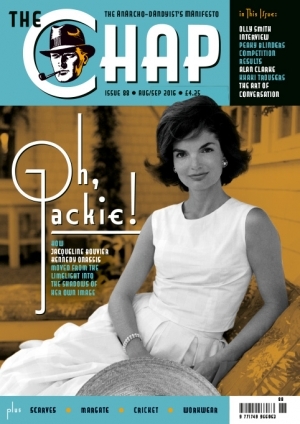 To further this revolutionary opening salvo, a sheet of stickers were provided with every issue, which remain in these back issues. 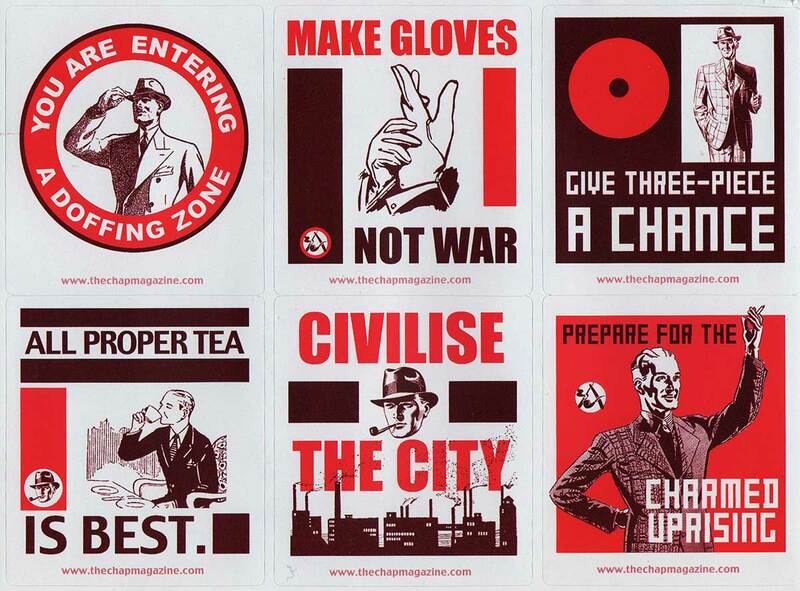 The stickers bore anarcho-dandyist slogans such as 'Make Gloves Not War', Give Three-Piece a Chance' and 'You Are Entering a Doffing Zone'. 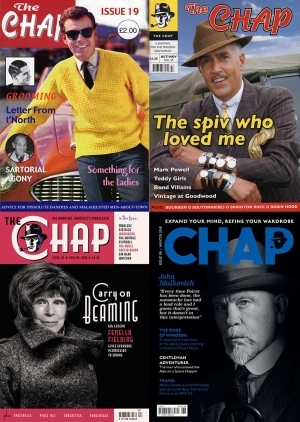 Contents include Turkish shaving, the Semiotics of Legwear, Alistair Crook's Letter from T'North, Tales of a Tibetan houseboy and Sartorial Agony, as well as one of the now-legendary letters from Captain Rosco 'Biscuits Fruit' Van Noote. 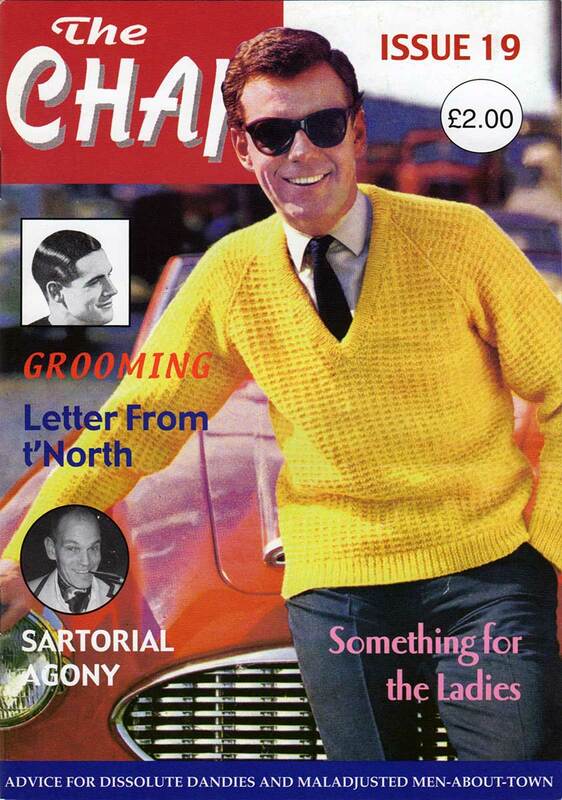 Recently discovered in the vaults of the New Sheridan Club, this highly rare early edition of The Chap dates from 2003 and marked a turning point for the Anarcho-dandyist movement. 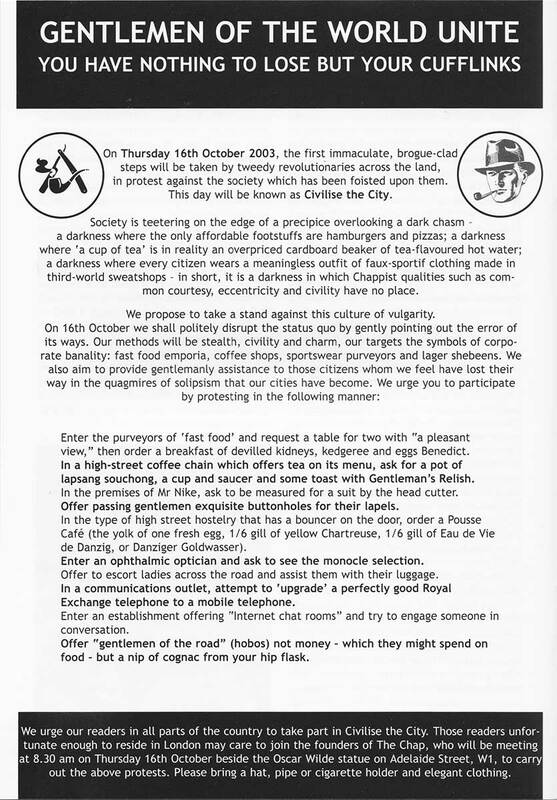 Within its pages was announced the first uprising in the Tweed Revolution on 16th October 2003. 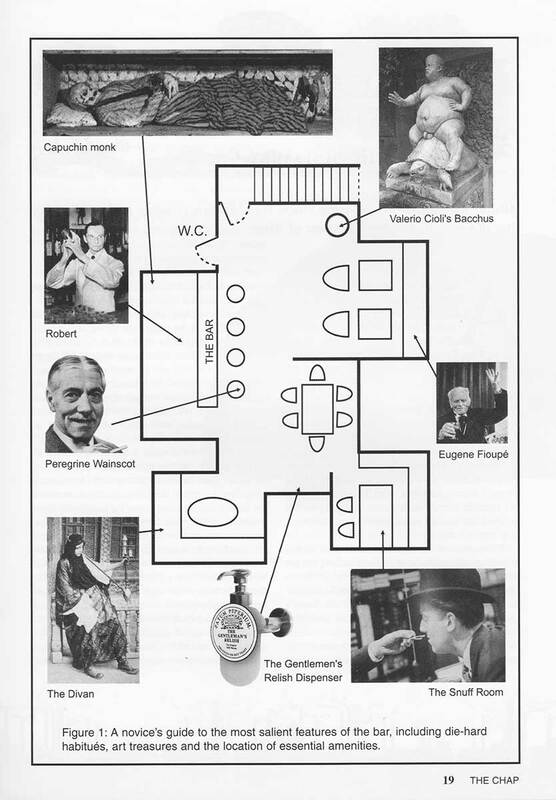 To further this revolutionary opening salvo, a sheet of stickers was provided with every issue, which remain in these back issues. The stickers bore anarcho-dandyist slogans such as ‘Make Gloves Not War’, Give Three-Piece a Chance’ and ‘You Are Entering a Doffing Zone’. Contents include Turkish shaving, the Semiotics of Legwear, Alistair Crook’s Letter from T’North, Tales of a Tibetan houseboy and Sartorial Agony, as well as one of the now-legendary letters from Captain Rosco ‘Biscuits Fruit’ Van Noote.